Laptop Rental UAE - LED TV, Screen Rental Dubai - Hire Laptops Why Video Wall Rental Should Be Your Next Marketing Gimmick? Video walls are increasingly becoming popular especially in the work of marketing. The thin, flat, super bright displays with an assorted range of screens are becoming the numero uno advertising strategy for most of the companies. However, the superior quality video walls are still above the reach of many companies. At Techno Edge Systems, we offer video wall rental in Dubai for small and medium-sized companies who intend to compete with the biggest business sharks in the industry in terms of advertising. • The content of the video wall can be customized easily based on the controllers’ preferences. • Various types of content with different resolutions can be displayed on the videowalls. 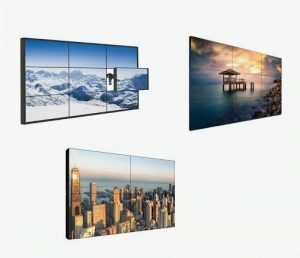 • The marketers can have the videowalls as booth backdrops, presentations, or information hubs to increase the footfall of the prospective customers. The video walls present the touchscreen technology to the consumers. The interactive touchscreen videowalls engage the customers directly helping them to interact with the on-screen information. The large screens with the latest technology allowing up to 32 multiple-touches are the very reason for customer delight. This basically means the latest technology video walls can handle multiple guests entering the information at the kiosk at the same time. Approaching professionals like Techno Edge Systems make the process of setting up the videowalls seem simpler than it actually is. We offer the best possible solutions to come up with a video wall that is perfect for the ambiance – be it indoor or outdoor video wall. We handle all the setup process through the finish including the transportation, maintenance, storage etc; apart from which we also offer 24/7 support during the videowall rental period. For more information on video wall rental, contact us at +971-54-4653108 or visit our website www.laptoprentaluae.com.